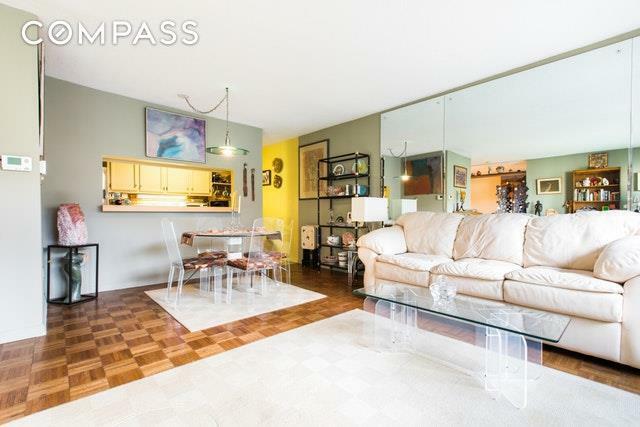 Sunny, bright and airy Jr. one bedroom in the full-service Rivercross on Roosevelt Island! This expansive light-filled apartment is brightened by fabulous picture windows that span 16 feet and face north with partial East River views. Beyond the entry foyer, an open-style layout features a spacious living area and separate dining alcove with 6 red oak square flooring, where you can host guests or simply relax in comfort after a long day in the city. The pass-through kitchen with generous cabinetry, ample counter space, and stainless steel appliances (including a dishwasher) has a cut-out that opens to the living/dining area, and a breakfast bar that can accommodate stool seating. The windowed queen-sized sleeping alcove provides a quiet place to unwind. This apartment also offers 3 closets for storage, one of which is super large. 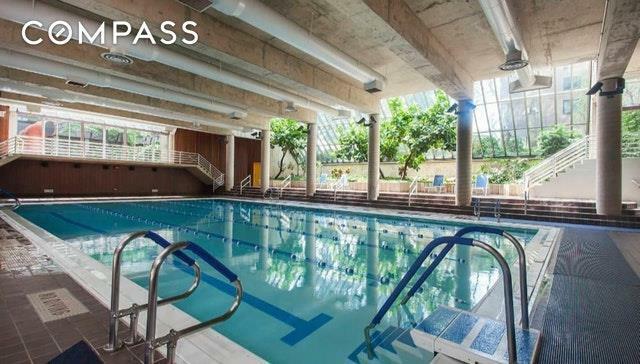 The well-maintained Rivercross cooperative on Roosevelt Island is a desirable elevator building with a 24-hour doorman, resident superintendent, onsite managing agent, 2-level fitness center, fabulous 30 indoor swimming pool with saunas, peaceful sundeck, community/party room, great childrens playroom, 2 laundry rooms with all new equipment, and bicycle storage. 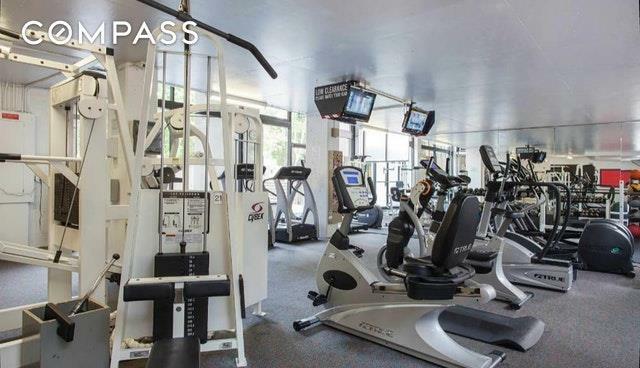 Monthly maintenance includes all utilities and use of all amenities. The location gives you easy access to Manhattan and Queens. 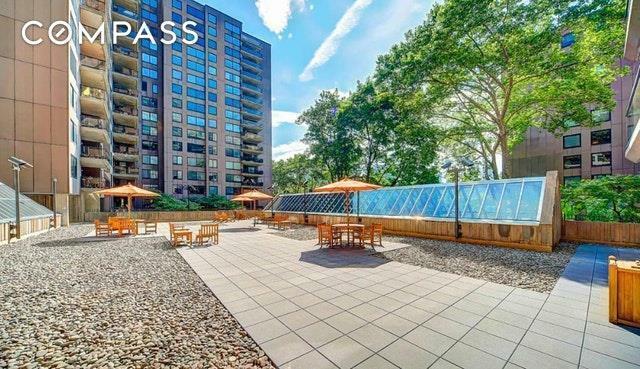 Right nearby is Southpoint Park with stunning river and Manhattan skyline views, Four Freedoms Park, Cornell Tech campus of Cornell University, the F train and tram, as well as free red bus transportation through Roosevelt Island. Recently launched East River Ferry service goes to Astoria, Long Island City, East 34th St and Wall Street. No smoking or dogs allowed.